With the CENTURY 21® real estate mobile app, you're not just choosing a home. You're choosing a lifestyle. Get the most up-to-date information on homes in your area, instant updates when new homes hit the market, details about local neighborhoods, and much more. • Personalize your experience. Find and save homes based on the characteristics that are most important to you: bedrooms, bathrooms, price, square footage, neighborhood, and more. • Location, location, location: Draw your own search area right on the map, view traffic information, and find homes based on your current location. • Explore your future neighborhood. See school district and neighborhood boundaries. Check out points of interest including restaurants, grocery stores, shopping, and much more. • Get access to your number one resource! With CENTURY 21, we’ll connect you with a relentless affiliated sales associate who will go all in—and help you find what you're looking for. Let us know what you think! Rate our app, or send feedback to ios@zaplabs.com. • Finding individual homes has been greatly improved. • You'll see more images for homes you're searching for. • We have fixed several bugs that may have affected some of you. Very useful. 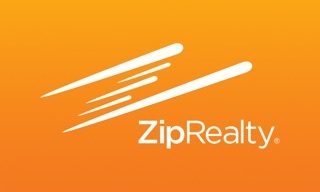 I’m finding myself using it more than Zillow and almost as much as RedFin. I think app must have the advantage of pulling info from the MLS which perhaps the other two don’t. It's hard to see the map when there is a sign that keeps popping up and won't go away. It would also be nice if you could add to the filter so I can avoid homes that are only for +55. An all ages filter would be nice. Please put this into consideration and it will be easier to you your app. © Copyright 2018, ZapLabs, Inc.